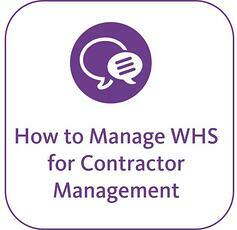 One area of health & safety that organisations really struggle with is contractor management. And with New Zealand's health and safety legislation changing to align with the Australian Model law, now's a great time to understand what is best practice in meeting the legislation. Watch this 1-hour video to find out everything you need to know about contractor management from a health & safety perspective.